Hi everyone! Hope you are all doing well. I am still busier than ever...trying to find time to breath! I guess it's better than being bored right..? Hmmm.. haha. Anyways, who doesn't love a few new shoe purchases for the start of a new season. 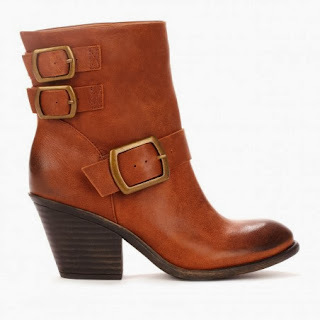 I absolutely love Fall and Winter shoes and thought I would share some of my top picks with you! Maybe you will add a few to your wishlist :-). Enjoy! 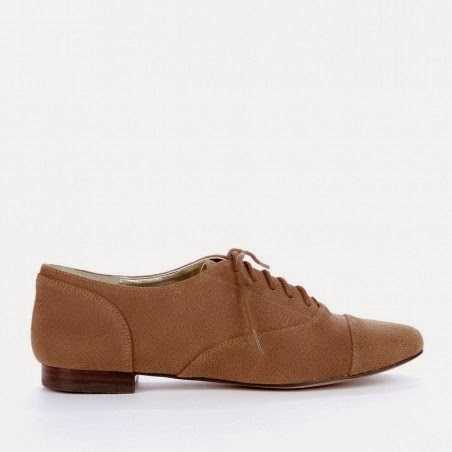 This is one of those shoes that I have always loved the look of but never took the plunge and actually bought. I think they are so cute and so versatile! Along the same lines as the previous shoe I really like the look of these laced up, heeled booties. They are very Salem circa 1640 and I love that! I think they would look great with jeans or a cute skirt. 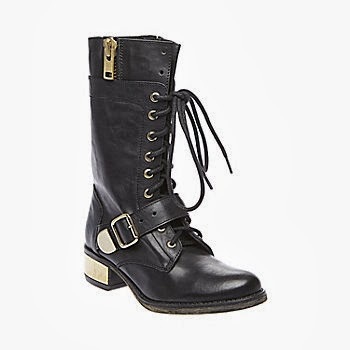 This shoe popped up in an e-mail recently and I completely fell in love with it. I love the color and the thick heel. I think these would look so good with a pair of jeans! This shoe was posted on Steve Madden's instagram and I loved it! I really like the gold detailing! Another great combat style boot. 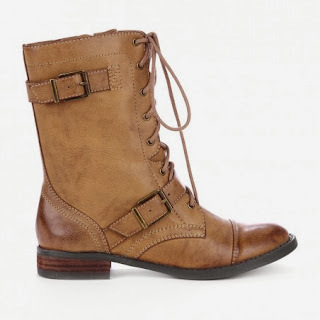 I think these boots are perfect for Fall! 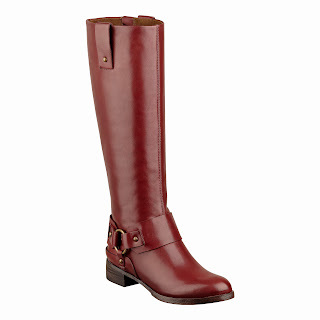 Who doesn't love a classic riding boot? These are so fantastic, I love the color and knowing Nine West they are great quality. Hard to pass these up! I really like this loafer-style shoe. A unique style and very wearable with several different outfits! Can't complete the post without a great heel! These mary-jane style heels are so fun and would look great with some black tights and a cute skirt. Might be a little tricky to walk in though, ha ha! Oh my god.. the last shoe is just perfection! I want it! You can never go wrong with a riding boot! The ones from Nine West are gorgeous. Love the Steve madden boot, and the gorgeous red shoe! I am glad you introduced me to Sole Society, i love all of those and did not know the brand!